Nish Tailor recently joined Pick Everard as an architectural assistant following studying at De Montfort University in Leicester. He speaks about what inspired him to pursue a career in architecture and his time coordinating the DMU Square Mile project in India. Growing up in London gave me the inspiration to pursue a career in the built environment. As more and more high-rise residential buildings were developed, I became motivated to have an impact on the rapidly changing landscape. This then led to a career in architecture as I developed a particular interest in international Passive design, which involves designing a building that harnesses the climate to maintain a comfortable temperature all year round. I have had the opportunity to be involved in projects across the world which have required specific research and thought into Passive Design issues. This experience has triggered a passion to develop my own skills within the industry. In 2015 I began studying at De Montfort University (DMU) in Leicester, which has provided me with many opportunities. During my Part 1 Undergraduate degree in Architecture I had the chance to work alongside other universities through open competitions. This involved working collaboratively with other students to create innovative solutions to a brief, giving me experience of real projects with real challenges: culminating in winning 1st Prize in both competitions I entered. 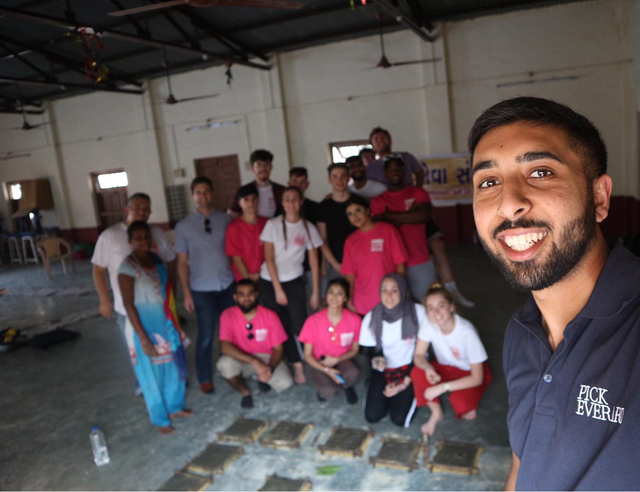 More recently, the University has also provided invaluable experiences through the DMU Square Mile India Project, which allows students to volunteer abroad. I was keen to get involved, carrying on from my earlier involvement in the year and became Project Manager for the Loving Community Project. This then led to a job working for DMU Square Mile coordinating the trips and helping the community in India with the construction of new houses. I also became involved in many other areas including tile making, landscaping and painting of a mural to enhance the overall area. All of these activities have been undertaken with the help of the Loving Community including local architect Anand Sonecha from SEALab and in conjunction with the local charity Manav Sadhna. Once I had graduated from DMU, they helped me to secure a placement at Pick Everard who have strengthened their partnership with the University through DMU Square Mile. Joining Pick Everard has been a great way to develop my skills and opportunity to work across a broad range of sectors through all stages of projects. I have thoroughly enjoyed my first few weeks and the opportunity to work both in the Leicester and London offices. I have always been interested in the residential sector and the practice has allowed me to move around to gain as much experience as possible and to realise my ambitions. I am looking forward to continuing my role with DMU through Pick Everard with the next trip planned for the end of January to continue on the ongoing programme.